The bundle is dead; long live the bundle. But this isn’t the familiar 20th-century package of paper and ink. It’s a bundle that lives as code, often assembled by other bits of code, and almost invariably run by people who write code, not words. The bundle used to be that daily paper delivered to the doorstep. The newspaper evolved as a collection of the important and the worthy alongside the amusing and entertaining, mixed in with display ads and classifieds. As a physical delivery system, it’s a historical artifact of the technology, audience, and business of a particular time. The Internet brought about the great unbundling of the printed product. As news moved online, readers could pick and chose stories of interest, ignoring the rest. Worse for media outlets, digital also disconnected news from its traditional life-support systems — real estate, autos, and classifieds, to name just a few. But the newspaper bundle was more than a business model or a product of the technology and delivery systems of the time. It brought order to countless things happening daily, with people relying on professionals to select a handful of events and include them in the stable and fixed format of the printed page. By packaging the world, the newspaper (and later the newscast) brought a sense of harmony to the cacophony of the everyday. The bundle is back, enjoying a renaissance as people realize that they need it more than ever before. The promise of the seemingly infinite Internet, where news from everywhere in the world is just a click away, has run into the reality of life, when time and attention are finite. The idea of the bundle isn’t broken — it never really went away. Rather, the packaging of the news is morphing into multiple forms as the established ways of stuffing the news into the one-size-fits-all newspaper didn’t work so well in a networked society. Instead, there are examples of media organizations rethinking what this bundle looks like when people access the news throughout the day on multiple devices and in varied environments. Consider NYT Now from The New York Times or the Circa news app. These bear some resemblance to collections of news of the past, assembled by professionals with expertise in journalism. But the bundle is also remerging in new forms that have little in common with the newspaper and are the product of technology, rather than journalists. The news is being packaged in four broad ways: by apps, devices, social signals, and algorithms. As more and more people get their news on mobile devices, apps are one of the entries into news, with the stories curated or aggregated by people or algorithms. Many of these apps are from companies who are not in the news business, such as Twitter, Instagram, or WhatsApp. But news is part of the mix of the important, amusing, and mundane on these services — news is incidental to the main reason for using these services and apps. They provide news organizations with new ways to distribute their material and reach audiences, but with little control. Moreover, the device itself is becoming the gateway to the news and not just in terms of the apps that make it onto the first homescreen of the device. The lock screen, with its notifications, is the new gateway into what matters at any particular moment. The notifications from news apps that make it onto that lock screen are in prime position to capture attention. The lock screen is the new bundle. Then there are the social signals that have been increasing in importance as social networks like Facebook (and perhaps Twitter in the future) tap into them to decide what people see. The collective actions of friends, contacts, and loose acquaintances produce individualized bundles of news, assembled by invisible algorithms. These algorithms, written by software engineers, are the new gatekeepers, drawing on the editorial decisions of our social circles. It turns out there is a need for someone or something to select, filter, sort, and package the news into some sort of bundle. Given a choice, people tend to opt for convenience. The newspaper was a convenient way of getting the news. The new ways of bundling the news make it easy to stay informed, or at least, appear to be informed. Increasingly, these will become the main way people experience the news. For news organizations, the risks of the reemergence of the bundle may outweigh the benefits of reaching new audiences. The story is disconnected from the original source with the brand fading into the background. A news outlet ends up playing by someone else’s rules in terms of what makes it to the new front page. There is little certainty as who is prominent today will still be visible tomorrow. When social signals and algorithms shape the bundle, news choices end up being impermanent, transient, and ephemeral, with no guarantees that today’s audience for a particular news organization’s work will be there tomorrow. 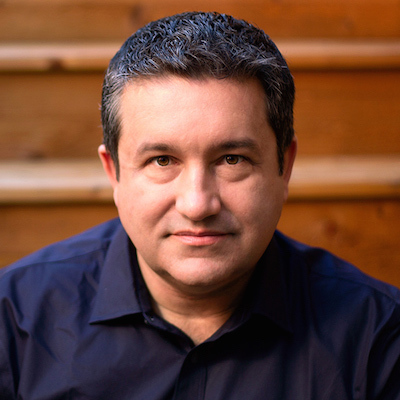 Alfred Hermida is the author of Tell Everyone: Why We Share and Why It Matters and an associate professor at the University of British Columbia. Dec. 18, 2014, 2:36 p.m.